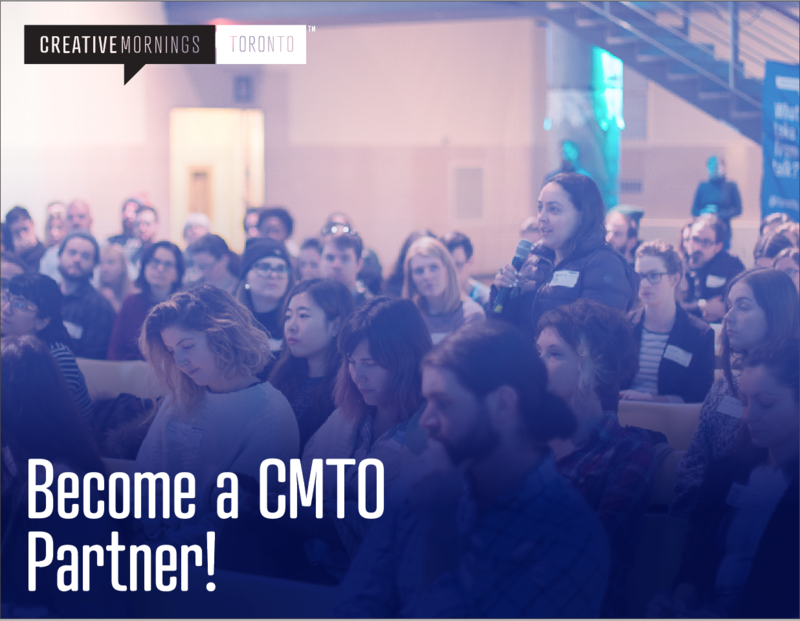 CreativeMornings Toronto is seeking partners who wish to get involved in our current and upcoming events. Learn more by downloading our Partnership Package today! It’s our mission to ensure that CreativeMornings enables creatives Toronto-wide to share, collaborate and build community. CreativeMornings is a free event for attendees. Through your generous sponsorship we can continue to offer monthly creative events to inspire, shape and grow our city’s creative community.